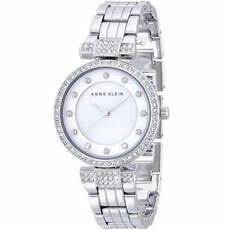 We love the drama and the glamor inspired by the Anne Klein 10-1852RMRG watch. 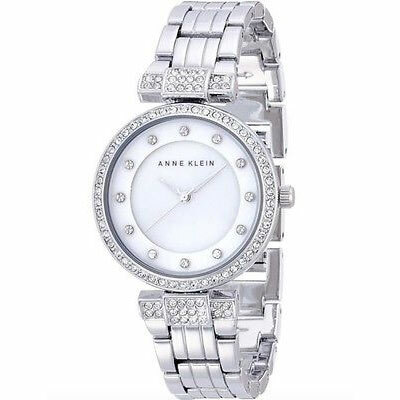 This graceful timepiece boasts of luxe and sophistication with its mother of pearl dial, silver tone hands and crystal hours markers. The sparkle continues with alluring Swarovski crystals on the top ring and portions of the bracelet. Silver tone metal bracelet is secured with jewelry clasp links.